Grammarus sp. is a large amphipod growing to 1 cm in length. This strain was isolated from the western side of the Big Island of Hawaii. 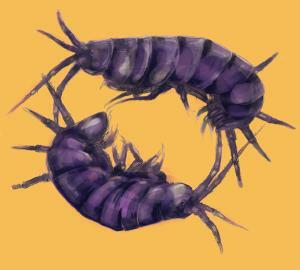 Most amphipods are detritivores and scavengers. Female amphipods hold the fertilized eggs and release fully-developed young. SA’s Hawaiian Amphipods reproduce quickly and can tolerate wide ranges in temperature, oxygen, and salinity, making them robust in culture and able to withstand storage at room temperature for long periods. SA’s Hawaiian Amphipods are maintained in clean, single-species cultures. 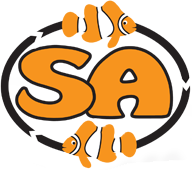 They are fed a high-quality diet of SA Hatchery Diet and frozen feeds, ensuring you are getting the best amphipods available! SA’s Hawaiian Amphipods can be added into a refugium where a population will provide the aquarium with a continuous supply of nutritious amphipods. They can also be used to cycle a new aquarium with the added benefit that they will later serve as a food source for the fish and as a “Clean-Up Crew,” where they will feed on detritus, uneaten food, and fish waste. 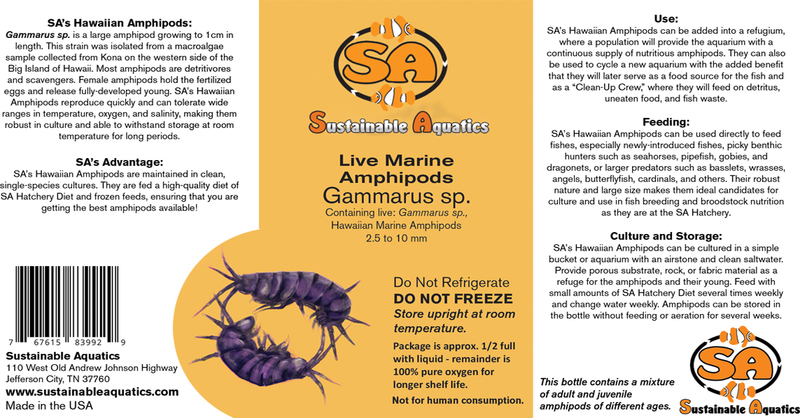 SA’s Hawaiian Amphipods can be used directly to feed fishes, especially newly-introduced fishes, picky benthic hunters such as seahorses, pipefish, gobies, and dragonets, or larger predators such as basslets, wrasses, angels, butterflyfish, cardinals, and others. Their robust nature and large size makes them ideal candidates for culture and use in fish breeding and broodstock nutrition as they are at the SA Hatchery. 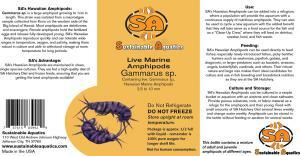 SA’s Hawaiian Amphipods can be cultured in a simple bucket or aquarium with an airstone and clean saltwater. Provide porous substrate, rock, or fabric material as a refuge for the amphipods and their young. Feed with small amounts of SA Hatchery Diet several times weekly and change water weekly. Amphipods can be stored in the bottle without feeding or aeration for several weeks. Package is approx. 1/2 full with liquid – remainder is 100% pure oxygen for longer self life. 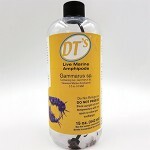 This bottle contains a mixture of adult and juvenile amphipods of different ages.